When a food justice organization accused Imperfect Produce of taking their customers, it unearthed a larger set of questions about the latest food-systems investment frenzy. In August, two respected Bay Area-based food justice organizations, Phat Beets and Food First, co-authored a blog post that came out swinging. The subject was Imperfect Produce, a San Francisco startup selling boxes of “ugly”—i.e., off-sized, misshapen, and slightly damaged—fruits and vegetables to subscribers for discounted prices. The post, which also ran on the New Food Economy’s website, was titled “Here’s the Ugly Truth About the Ugly Produce Movement,” and had a number of bones to pick with the company. Back in 2015, we at Phat Beets Produce received a curious email from a “startup” produce company serving the East Bay in California, who wanted to partner with us to “support the work you do.” Three years later and with a 30-percent drop in customers at our Beet Box CSA, we realized that we were being out-competed by a startup with a glitzy marketing campaign and venture-capital funding. 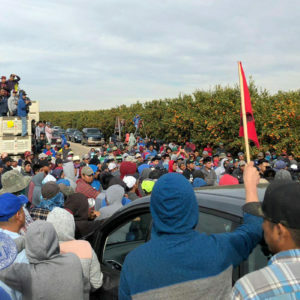 While the letter has been met with a mix of responses, it does point to several core tensions currently playing out in the produce delivery world. And it raises some larger, pressing questions about the rapid, venture-capital-backed growth of food waste-focused startups—and what consumers give up when they prioritize cutting waste in a vacuum. In 2011, Ben Simon, the CEO and founder of Imperfect Produce, was one of four University of Maryland students who started the Food Recovery Network, a nonprofit that salvaged food from the university dining halls that would have otherwise ended up in the trash. According to their website, by the end of the school year, they’d recovered 30,000 meals on behalf of D.C.-area anti-hunger nonprofits, and they have since passed the milestone of 3 million pounds of food donated. Four years later, Simon went on to start Imperfect Produce. Imperfect Produce buys fruits and vegetables at a discounted rate from a range of larger farms—in California, the Midwest, Mexico and other parts of over the world, in an effort to reach their growing customer base. At the time of the company’s launch, food waste reduction was a nascent, but burgeoning social issue. In 2012, the Natural Resource Defense Council (NRDC) released a much-publicized report about the topic, and a range of media sources began reporting that 40 percent of the food produced in the U.S. goes to waste. High profile chefs, like New York’s Dan Barber and Mario Batali began using their platforms to raise awareness about food waste rather than just extolling the virtues of supporting small and organic farmers—until then, the prevailing social issue for chefs. The following year, France made it illegal for grocers to throw away food, going as far as fining them for infractions. As Imperfect Produce—and a number of other social enterprise startups targeting food waste—entered the marketplace that summer, it would’ve been hard to predict anything other than unbridled enthusiasm for the company. But three years later, as Imperfect Produce has grown from a warehouse in Emeryville, California to a national company worth upwards of $180 million spanning at least eight cities nationwide, the company’s model is raising some eyebrows. For decades, small farms have sold produce, imperfect or otherwise, directly to consumers through community supported agriculture subscriptions (CSAs). But as other businesses have entered the produce delivery market, many of the initial reasons for supporting CSAs—including a direct, transparent relationship with the farm—have fallen by the wayside in favor of options that are seen as more convenient, and less tied to a single farm’s productivity and variety (a person can only eat so many greens in the winter, for instance). Thanks to other enterprises, including as Full Circle Farms, Good Eggs, Local Roots, and the now-defunct Farmigo, that began capitalizing on the model in a variety of ways, this shift had been well in the making by the time Imperfect came along. Like CSAs, Imperfect Produce offers food that consumers can feel good about, but at prices the company says are around 30 percent below those found in grocery stores. And it’s clear that the opportunity to prevent food waste, while also saving money on fresh produce, seems to appeal to many of the same people who once relied on CSAs—even if that has meant taking an unconscious step back from concerns about supporting small farmers. And while it’s hard to say whether Imperfect’s growing appeal has supplanted more traditional farm subscriptions directly, Phat Beets isn’t the only group to accuse the company of eating up market share. According to a recent Chicago Tribune article entitled, “As Imperfect Produce grows in Chicago, so do challenges for local farmers,” average CSA sales there have declined, on average about 20 percent year over year since 2014. And although the shift began several years before Imperfect Produce arrived in Chicago, Cliff McConville, chairman of Band of Farmers, a coalition of about 45 farms offering CSA shares in the Chicago area, saw the company as a key player in the changing marketplace. “There are many challenges facing small farmers and CSA and [Imperfect Produce] looks like another one,” he told the Tribune. Last month, Washington state’s News Tribune profiled Terra Organics, a small farm just outside of Tacoma that was closing down due to changes in the marketplace. “While [farm owner Dan] Hulse was quick to note there wasn’t one factor that led to Terra Organic’s demise, he did acknowledge that the recent emergence of Imperfect Produce certainly didn’t help,” the article reads. Of course, when any company grows this fast, it is bound to have critics. “We won’t lie. 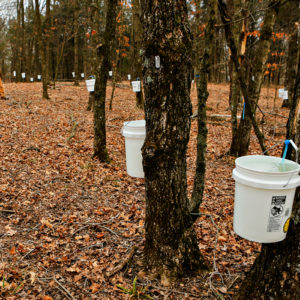 There’s a lot of excitement around what we’re doing,” Ben Simon told Civil Eats. And the venture capitalists fueling this growth clearly share in that excitement. Imperfect Produce is tight-lipped about the specifics, but it recently authorized the sale of up to $30 million of shares in the company. This development comes just one year after it secured $9 million, according to an SEC filing. Around the same time Imperfect Produce engaged in its latest round of funding, Full Harvest, another Bay Area-based company that buys and sells “ugly” produce (also launched in 2015), raised $10 million in their Series A round of funding. Although Full Harvest sells directly to other businesses and not consumers, the buzz and excitement from Silicon Valley investors about the startup appears to be on par with the response to Imperfect Produce. While getting food that would have gone to waste onto more people’s tables has obvious value—especially at a time when 13 percent of Americans struggle with food insecurity—Eric Holt-Giménez, executive director of Food First and co-author of the blog post on Phat Beets’ website, sees Imperfect’s work in a more complicated light. “Imperfect Produce isn’t actually creating value, they’re capturing it,” he said, adding that the distinction is an important one. Since the most wasted food is a byproduct of the industrial food chain, Holt-Giménez is concerned that Imperfect Produce’s efforts to disrupt the food system may have the unintended consequences of preventing other, more important systemic changes. Holt-Giménez worries that companies like Imperfect have the potential to—at least down the road—reinforce the core dysfunction associated with industrial farms by allowing them to continue wasting food in the first place. “We need to address overproduction if we’re really concerned about food waste. All of these [businesses capturing potential food waste] are at the end of the pipe rather than the point of production,” he said. For the last 11 years, Phat Beets has been putting together their produce boxes with food access in mind—both for eaters and farmers. The group distributes fruits and vegetables grown by a handful of small and mid-sized organic and “spray-free” farmers of color. The group also offers community farm stands, markets, and youth entrepreneurship opportunities. So it’s perhaps no surprise that Imperfect’s approach to working with larger farms concerns then. 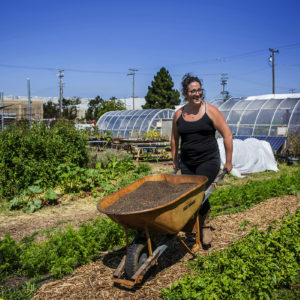 Esperanza Pallana, a program officer at Northern California Community Loan Fund, who works at the intersection of food justice and social investment, believes that both missions—reducing food waste and supporting small and disadvantaged farmers—can and should coexist. While Pallana doesn’t deny that Phat Peets and Food First made some valid point in their open letter, she sees Imperfect Produce as an interim solution to food system challenges. Even though Phat Beets’ claim that the salvaged produce from Imperfect would have otherwise gone to food banks hasn’t been proven to be the case, Max Cadji, acting director of restorative economics for Phats Beets, said that his hope in questioning the company’s work was to encourage other organizations, journalists, and researchers to pay attention to the unintended outcomes associated with companies like Imperfect Produce. “In the end, there is a need for more data,” he said. He adds that the choice to publicize the organization’s concerns regarding Imperfect Produce was also ultimately beneficial for Phat Beets. The warning about the health of their CSA galvanized their local community, which helped the nonprofit make up for a 30 percent sales decline with new accounts and renewed subscriptions. Meanwhile, Food First’s Holt-Giménez remains concerned that now that someone has begun making a profit off of rescuing food waste, “sooner or later investors will want it back.” Indeed, it doesn’t take much imagination to anticipate a time when Amazon or another competitor will want to buy Imperfect Produce. For now, consumers who want to eat with a conscience are in the same situation they’ve always been in: There’s no one company they can shop with to fix all the problems of the food system. And deciding to eat with a diligent attention to one’s values continues to require work and sometimes-difficult decisions about reducing food waste, supporting small-scale farmers, or somehow doing both. This article was updated on October 3 to reflect that the timing of the decline of Chicago CSA subscriptions began several years before Imperfect Produce’s arrival, and to note that the FRN has donated more than 3 million pounds of food to date. There is never going to be one company that can solve all of the problems currently plaguing our food system. I really appreciate what Imperfect is doing to address one of the biggest problems in our food system: the fact that so much good food goes to waste. To me, reducing food waste is a form of food justice. Please STOP using a carrot image every time food waste is mentioned. 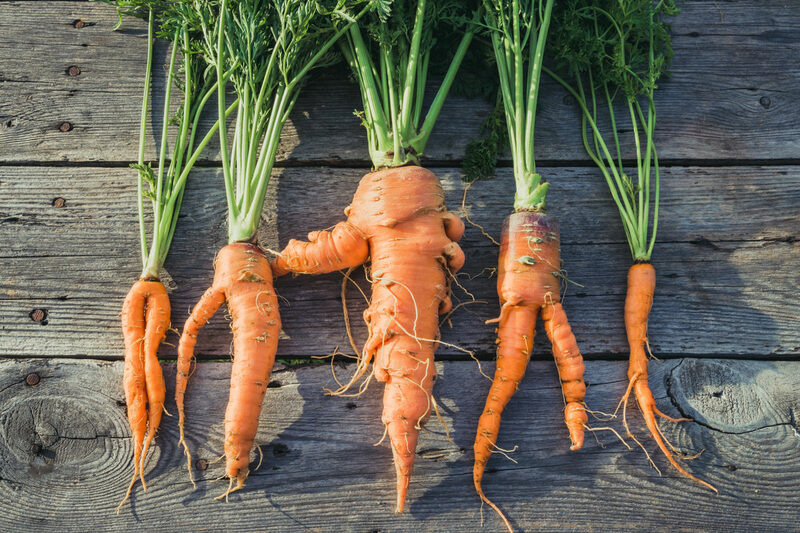 Carrots ar one of the least wasted vegetables in the market place, with only about 6% wasted at the farm gate. It is misleading the public. The type of carrot you portray is often sent to the food processing industry to make soup, batons or baby food. I disagree with the claim from imperfect produce that their product is cheaper. I tried it out for a couple weeks and cancelled because the price was significantly higher than my organic Full Belly CSA box at $17.50 for enough produce for two or three for a week. Imperfect selling conventional seconds of produce costs more than a local farm which strikes me as odd. Why does it cost more if it is all seconds? It seems suspect to me and I question the profit motives of this group. Also they are creating more waste by using branded boxes for use only once. I don’t want to pay extra for a special box that is intended for one time use for a company that claims to be about reducing waste.